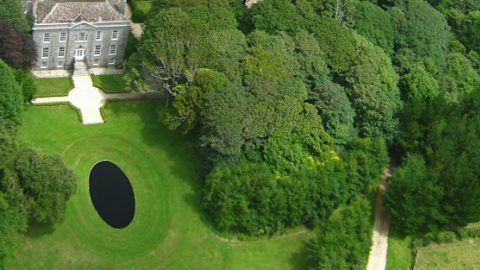 The garden was conceived and designed as a whole albeit that the garden was constructed in three separate stages. 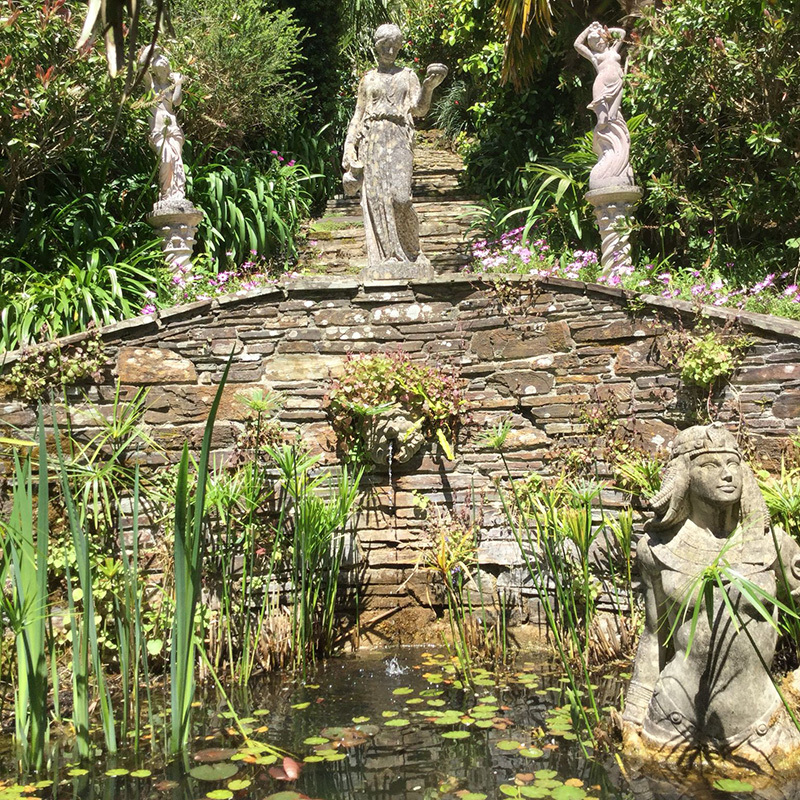 The intention was to create an intimate garden very much in the mould of Mediterranean gardens with water ever-present both as a backdrop to the garden and with running water featured in the many pools and streams. Many features are included to divide the garden into intimate compartments – i giardini segreti – which the visitor can find and explore. 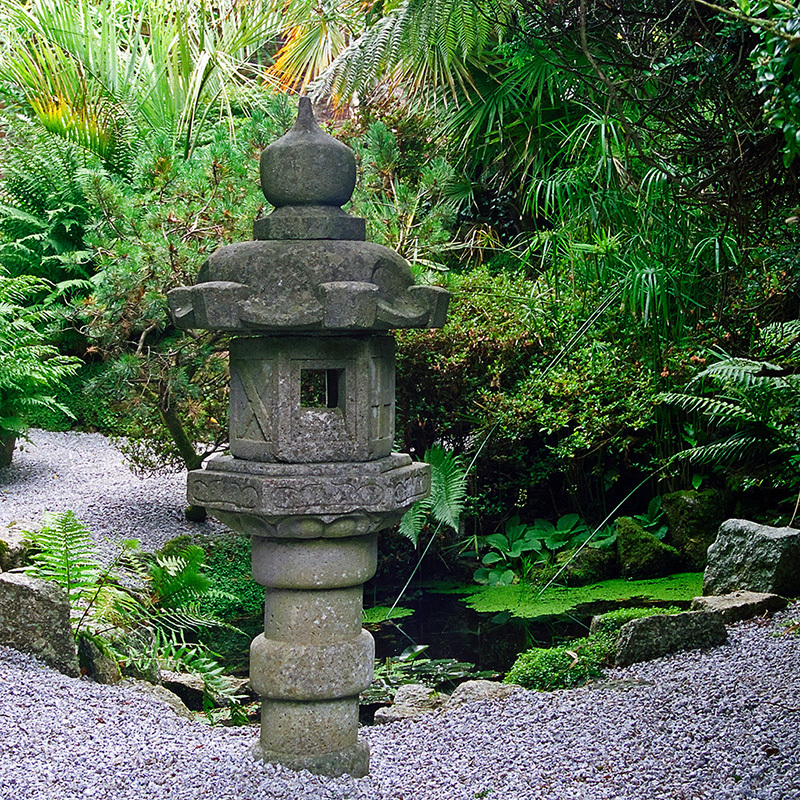 Hence there are areas of woodland, a water garden in Japanese style as well as temples and archways and a small bridge on which to lean to look out over the bay. 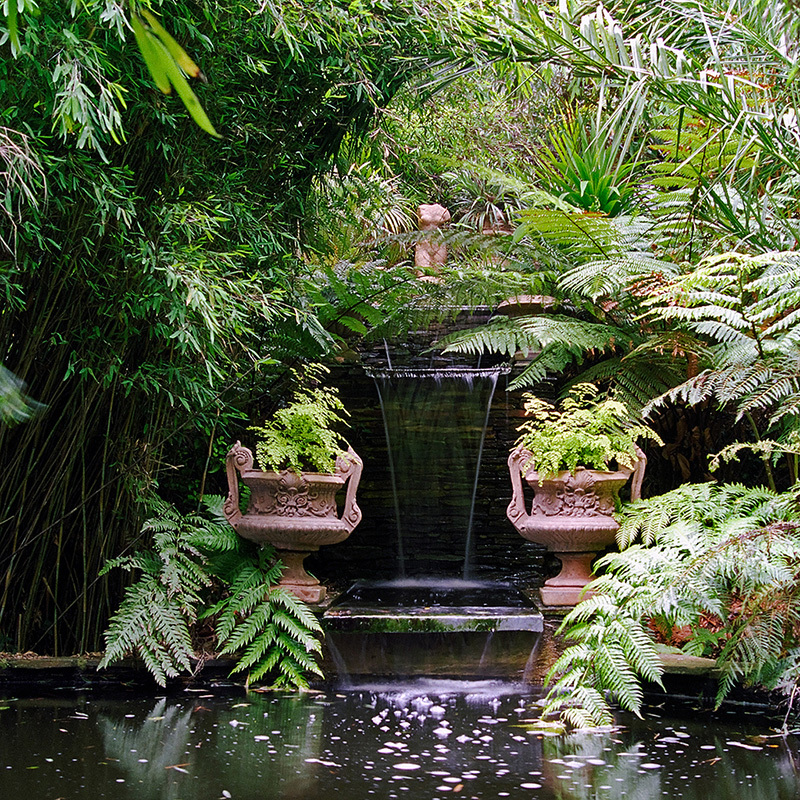 Which is the best month to visit Lamorran Garden? 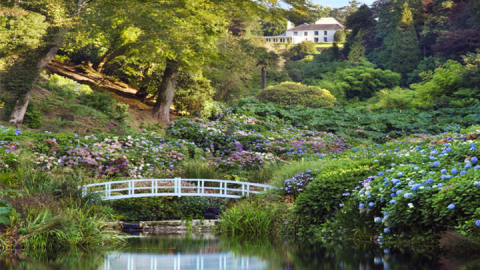 There is a great variety of plants and flowers and something for everyone throughout the opening season. 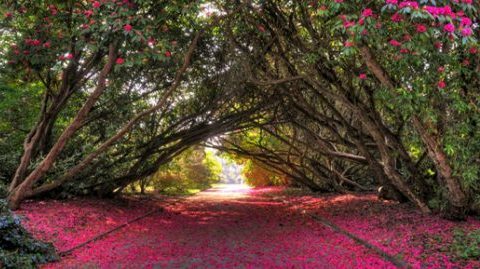 Rhododendrons, Camellias and Azaleas flower mostly during the spring months although the evergreen azaleas, of which there is a very large collection, flower from February to June continuing in some instances into early July. The summer months too see a rich display of flowers and shrubs, many from the Southern Hemisphere, from Metrosideros Excelsa to Jasmines, Fuchsias, Citrus plants and the many daisy type plants like Arctotis, Gazania and Osteospermum……. The architectural plants in addition to the Palms and Tree Ferns feature many examples of Banana trees, Agaves, Yuccas etc. too many to mention. 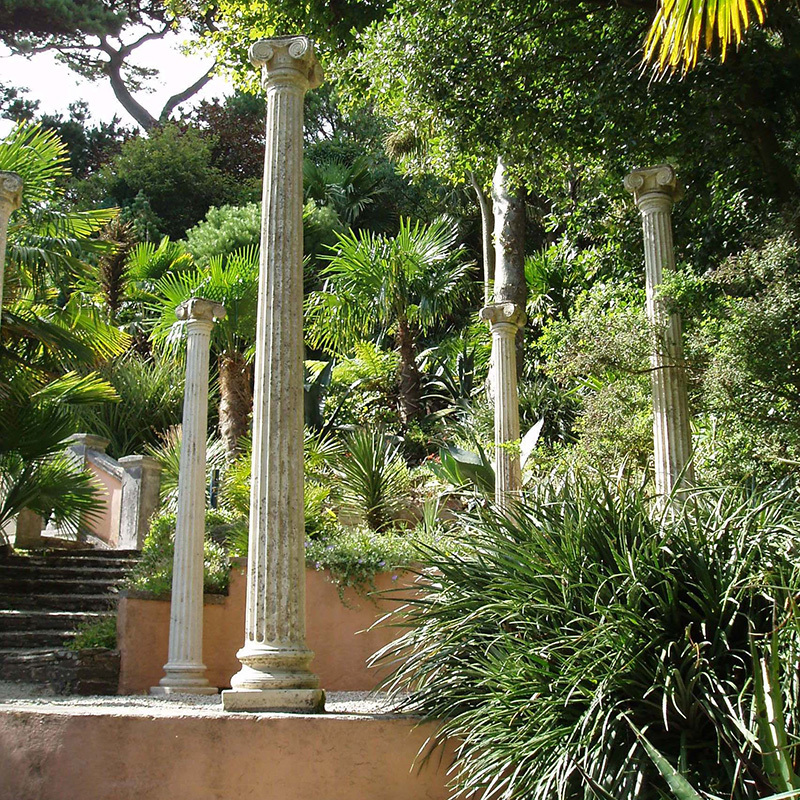 How many species of palms grow at Lamorran? 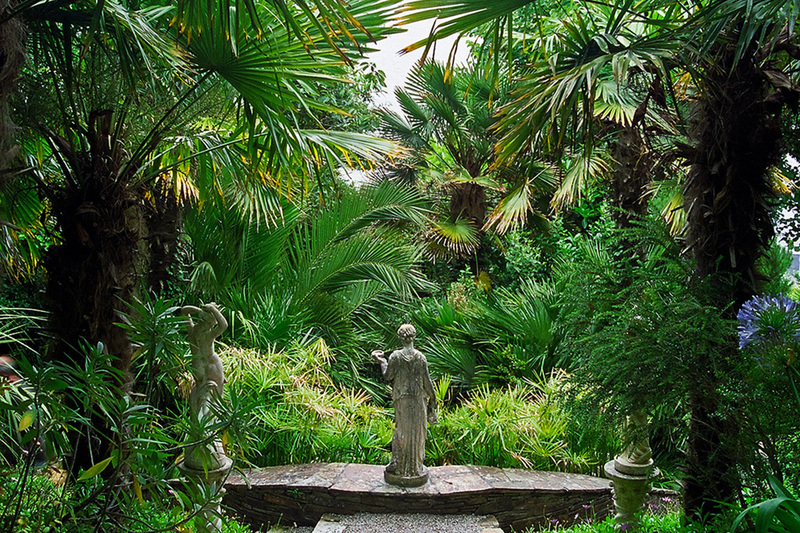 Lamorran is home to a great many species of Palms and Tree Ferns. There are over 200 Palms of some 35 species or varieties. The Tree Fern collection includes not only Dicksonia varieties but also a large collection of the more tender Cyatheas. Do you organise group visits? Light refreshments are served on the terrace. A traditional cream tea or a lovely slice of cake is always available up to closing time. Is there disabled access to the garden? Lamorran Garden is built on a slope with intertwining gravel paths. Therefore access to the main garden would be difficult by wheelchair. 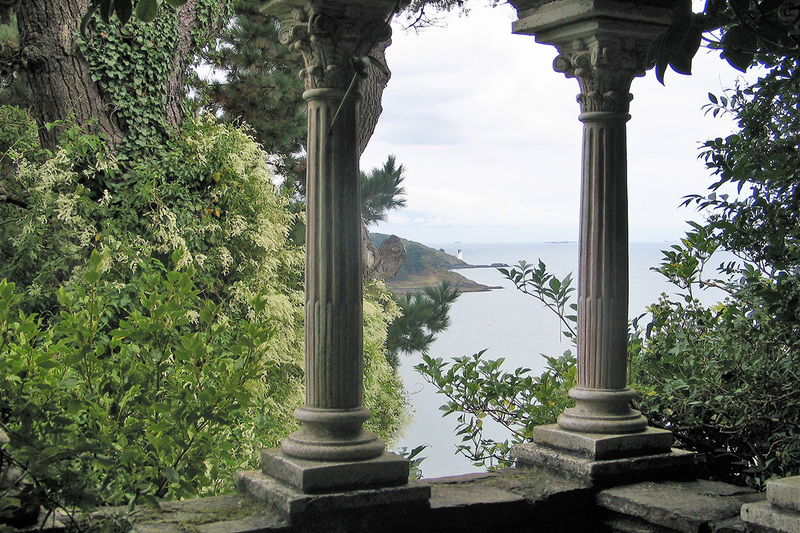 The disabled visitor may enjoy the view from the terrace out to sea and garden. No entry charge is made.